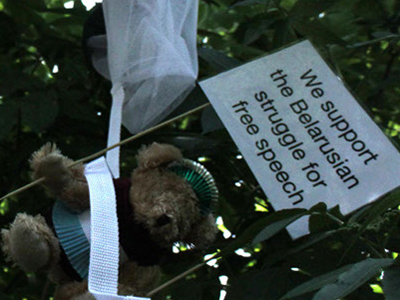 Launching a handmade kite may get you in trouble today in Belarus, where it could be considered a national security threat by the military, which is on constant alert after the “teddy-bear assault” carried out by Swedish activists last month. 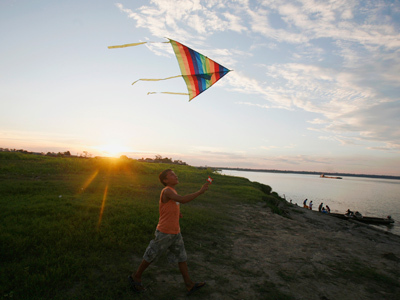 Viktor Emelyanenko, resident of the city of Grodno near the border with Poland and Lithuania, wanted to surprise his grandson with a handmade kite, but was unpleasantly surprised when, just 30 minutes after launching the toy, he got a visit from the military. Emelyanenko said he had taken the kite to his yard to test it out. Less than half an hour later, his estate in near the border with Poland was swarming with anxious-looking men in uniform. According to Emelyanenko, the military took several photographs of the kite, some of him and one of his car’s license plate. The military’s concerns were caused by an incident last month when two Swedes flying a small plane discharged a teddy-bear bombardment on Belarus. 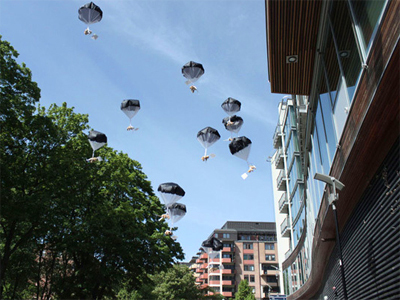 Hundreds of plush provocateurs were parachuted down with “Support freedom of speech!” messages as the plane flew over the capital, Minsk. 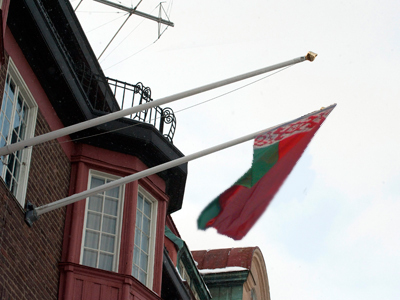 The “teddy-bear airdrop” has strained relations between Belarus and Sweden, with both sides expelling each other’s diplomats.